Ding ding ding! 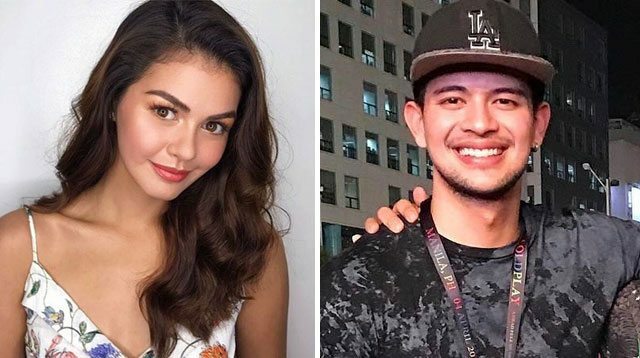 We've got a rumored new couple in our radar and it's none other than Janine Gutierrez and Ravyer Cruz. In a report by ABS-CBN, the two stars were seen together in a picture uploaded by Rayver on his IG account. Sitting beside each other with big smiles, Janine and Rayver celebrated a friend's birthday along with Rayver's brother Rodjun Cruz. "Kilala ko naman si Rayver ever since dahil nakasama ko si Rayver sa Spirits (ABS-CBN series). So I knew of Rayver since before. And kahit na matagal kaming hindi nagkikita, kapag nagkikita kami ulit, parang kahapon lang. Janine and Rayver's coupling may seem quite, erm, random. But come to think of it, they could have made the connection through Rodjun, who happens to be her co-star in her GMA series Legally Blind.